First Look: Angry Birds Movie. Birds Makeover!!! Sony Pictures releases an official first look for the upcoming film adaptation of Angry Birds. And look how our favorite suicidal birds look different from their game and toon counterparts. See the exciting picture after the jump. ESPOO, Finland and CULVER CITY, Calif. USA, October 1, 2014 – Over the past 48 hours, fans of Angry Birds have discovered a reveal within the game: by slinging one billion birds, fans had the chance to unlock the voice cast and get a sneak peek at the new look of the characters of the Angry Birds feature film. Jason Sudeikis (Horrible Bosses, last year’s comedy hit We're the Millers) will lead the cast as Red, a bird with a temper problem. Josh Gad, in his first animated role since the global smash hit Frozen, plays speedy Chuck, and Danny McBride (This is the End) portrays the volatile Bomb. Bill Hader (Cloudy with a Chance of Meatballs) has joined the pork side, Maya Rudolph (Bridesmaids) will play Matilda, and Peter Dinklage (Game of Thrones, X-Men: Days of Future Past) will play the legendary Mighty Eagle. In the supporting roles, Keegan-Michael Key (Comedy Central’s Key & Peele), Kate McKinnon (TV's Saturday Night Live), Tony Hale (Emmy winner for Veep, Arrested Development), Ike Barinholtz (Neighbors), Hannibal Buress (Neighbors), Cristela Alonzo (ABC’s upcoming Cristela), Jillian Bell (22 Jump Street), Danielle Brooks (Orange is the New Black), Grammy nominee and Latin music sensation Romeo Santos, and YouTube stars Smosh (Ian Andrew Hecox and Anthony Padilla), who have over 30 million YouTube subscribers, will bring an extra kick to this angry flock. “We heard limbs and dialogue were all the rage in modern animation so we went all in. Not just one, but all of our characters have legs and wings! Except for the pigs, that is,” added Blanca Juti, Chief Marketing Officer of Rovio. 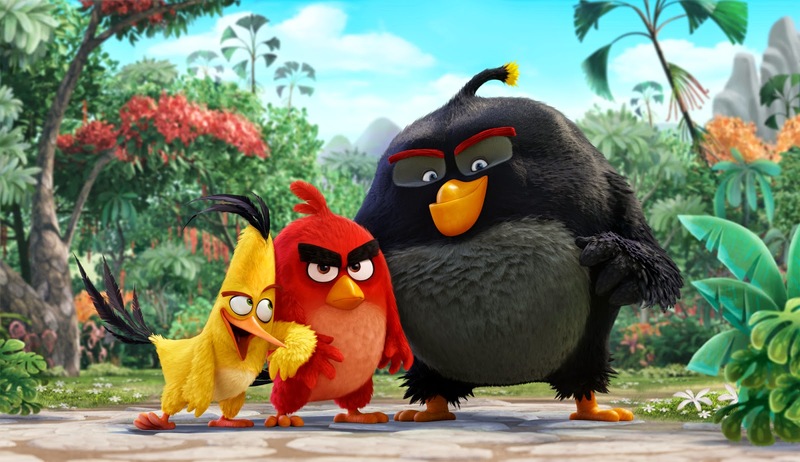 The upcoming movie marks Rovio’s first foray into feature films, although fans have already been introduced to the Angry Birds world with the weekly Angry Birds Toons animated series. Rovio launched the series last year through its Angry Birds game, as well as on select video-on-demand channel providers, Smart TVs, connected devices, and on select TV networks around the world. Paving the way for a full-length feature film, Angry Birds Toons has been a massive success for Rovio and has surpassed more than three billion views in its first 18 months. I was so skeptic with the concept at first but with this character redesigns, I believe the movie can actually work and I'm excited to see the final product. But I guess we need to wait a little longer because this film will not be out until 2016. Directed by Fergal Reilly and Clay Kaytis, Angry Birds is set to premiere in July 1, 2016, to be distributed by Sony Pictures.